SPARKS, NICHOLAS, landowner and timberer; b. 1794 in Darrah parish, County Wexford (Republic of Ireland); d. 27 Feb. 1862 in Ottawa, Canada West. Nicholas Sparks was far more important for what he owned than for what he did. Indistinguishable from hundreds of other sharp businessmen in most ways, Sparks is remembered because he owned most of what became downtown Ottawa. He immigrated to Lower Canada in 1816 and entered the service of the pioneer patriarch of the Ottawa valley, Philemon Wright*, at Hull. Sparks early demonstrated an aptitude for business. By 1819 he was travelling to Montreal and Quebec, purchasing supplies for Wright. He soon accumulated some capital and struck out on his own. In 1821 Sparks was living across the Ottawa River in Nepean Township, Carleton County, Upper Canada, and describing himself as a farmer. He purchased a lot on 25 September of that year from John Burrows Honey (later known as John Burrows), a surveyor. For a payment of £95, Sparks received 200 acres of land along with some food and chattels. The land was lot C, concession C, Nepean Township. Lot C would become Sparks’ life, the basis of his fortune and status. Defending his right to the property would preoccupy him for much of his career. Indeed Sparks’ difficulties over the lot began immediately. Burrows Honey, it appears, had sold land he did not own. Although the original sale took place on 25 Sept. 1821, Burrows Honey did not receive clear title until 1823 for the south half and 1824 for the north half. The sale to Sparks, therefore, was not recorded at the county registry office until 20 June 1824. The confusion, which has led to considerable controversy among local historians over the purchase date, did not end there. Burrows Honey’s title remained in doubt. As a result, Sparks repurchased the south 100 acres on 20 June 1826. Still there were doubts; Sparks made token payments of 5s. to John Burrows Honey and to his wife for title to the full 200 acres on 6 May and 10 July 1830 respectively. Out of this tangle it appears the famous purchase was not made on the usually accepted date of 20 June 1826 but rather nearly five years earlier on 25 Sept. 1821, although the legal technicalities were not resolved until 1830. The 1826 date, however, has a fine touch of drama about it. Late in 1826 the decision was made to build the Rideau Canal through lot C. As the village of Bytown (Ottawa) sprang up around the canal terminus, Sparks became landlord for a whole community. Those months also saw Sparks cement the other foundation of his fortune. On 2 Nov. 1826 a marriage licence was issued to Sparks and Sally Olmstead, widow of Philemon Wright Jr. The marriage solidified Sparks’ link with the leadership of the Ottawa timber trade. Sparks was an important middle-rank figure in timbering on the Ottawa River for many years. His own substantial timber interests were supplemented by loose partnerships in the 1830s with the Wrights, William and John Thomson, and Peter White, and in the 1840s with the Quebec house of Anderson and Paradis. In timber, as in land, Sparks was a sharp businessman. He was chronically late in settling debts. In 1834 he was successfully sued for goods delivered but not paid for; three years later his creditor was still attempting to collect the £2,803. It was in land that Sparks reaped the greatest dividends. He began to sell portions of lot C as early as 18 Dec. 1826 when he sold land west of the canal mouth for £200 an acre, the same land he had bought for 9s. 6d. an acre. Land sales and leases quickly made Sparks wealthy. As one of the few people with ready cash he also became Bytown’s leading moneylender and often enough was able to regain land he had sold. For example, in January 1832 he accepted a lot in payment of a debt of £75. In May 1832 Sparks sold an adjacent lot for £600. The nicest irony in all of Sparks’ complex dealings came in July 1844 when he leased part of a town lot, 66 ft by 99 ft, for £200 to John Burrows. Lot C continued to have a complicated legal career, however. On 17 Nov. 1826 Sparks had authorized Lieutenant Colonel John By*, commander of the canal works, to take land necessary for the construction. The agreement provided that not more than 200 ft on either side of the canal would be taken and “that such parts as may not be required for His Majesty’s service shall be restored when the canal is completed.” By took the necessary land, some 88 acres. In 1827 he attempted to purchase more, the high land which would be known as Barracks Hill until the parliament buildings were constructed on the site. Sparks demanded £500, a price By thought was too high. The colonel seized the property under the terms of the Rideau Canal Act of 1827, which allowed land to be taken for canal purposes. Sparks began a 20-year campaign to recover his property. He sued By for trespass; he brought suit against the officers of the Ordnance Department who occupied the land; he organized petition campaigns; he pressed local members to raise the issue in the legislature. And, indeed, however ruthlessly Sparks dealt with his own clients, he had received similar treatment from the military. By and the Ordnance stretched the terms of the agreement and of the act beyond reason. The land taken for “canal purposes” was used for barracks, parade grounds, homes of officers, even pasture for horses. 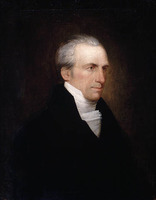 In 1843 and 1845, Sparks’ friends in the legislature attempted to regain his land for him by legislation. The imperial government was forced to give way. Although the Ordnance insisted it required the land for defence purposes, it accepted the principle of compensation. In September 1846 a board of arbitration met to determine that compensation. Thanks to political pressure in the Legislative Assembly, the board was weighted to Sparks’ advantage. The queen’s printer and former mla for Bytown, Stewart Derbishire, combined with the staunch defender of property rights, John A. Macdonald*, to overwhelm the Ordnance appointee, James Sutton Elliott. They awarded Sparks £27,000. His victory over the military confirmed Sparks’ position as the patriarch of Bytown. He was, however, a very private patriarch. He made some gifts to his community but surprisingly few given his resources. In 1828 he donated a lot for St Andrew’s Presbyterian Church and four years later gave the site for the Anglican Christ Church. His last major donation was land for a jail and court-house in 1839. More typical was his role as a founding shareholder in Her Majesty’s Theatre, an ambitious cultural venture on Wellington St. When the promoters were unable to meet his note in 1856, the patriarch would listen to no cultural arguments. He had his lawyer press for payment. Sparks had few political ambitions, despite his prominence. He never stood for provincial office. Perhaps to protect his property, he was involved occasionally in municipal affairs, serving on the Bytown Council from 1847 to 1849 and the Ottawa City Council from 1855 to 1857, and in 1860. Nicholas Sparks died on 27 Feb. 1862, aged 68. His wife and his three children – Nicholas, Mary, who married lumberman Alonzo Wright*, and Esther, who married James Dyson Slater – received a handsome inheritance. Some 78 debtors owed Sparks over $19,000. The estate included 440 lots in Ottawa, conservatively evaluated at $80,686, as well as property in surrounding townships, and a large home on Sparks St. It was an impressive demonstration of the fruits which could reward tenacity, shrewdness, and good luck in pioneer Canada. Christ Church (Anglican) (Ottawa), records of the parish (mfm. at PAC). PAC, MG 24, D8, 10, p.3121; 18, pp.6755–56; 30, pp.12646–48; 34, p.15291; 35, pp.16046–54; I9, 10, p.3040; 20, p.5137; 21, p.5536; 140; RG 1, E3, 54, pp.68–77; L1, 41, pp.551–53; L3, 472, bundle 20, nos.40–40e. PRO, WO 1/552, pp.95–122; 1/553, pp.591–871; 44/30, pp.21–64 (copies at PAC). Bytown Gazette ([Ottawa]), 1836–48. Ottawa Citizen, 1851–62. Illustrated historical atlas of the county of Carleton (including city of Ottawa), Ont. (Toronto, 1879; repr. Port Elgin, Ont., 1971), xviii–xxix. Lucien Brault, Ottawa old & new (Ottawa, 1946), 50, 52, 86, 119, 131–32, 218, 222. Davin, Irishman in Can., 322–23. H. P. Hill, History of Christ Church Cathedral, Ottawa, 1832–1932 (Ottawa, 1932), 8–9, 32–35, 113. Michael S. Cross, “SPARKS, NICHOLAS,” in Dictionary of Canadian Biography, vol. 9, University of Toronto/Université Laval, 2003–, accessed April 22, 2019, http://www.biographi.ca/en/bio/sparks_nicholas_9E.html.